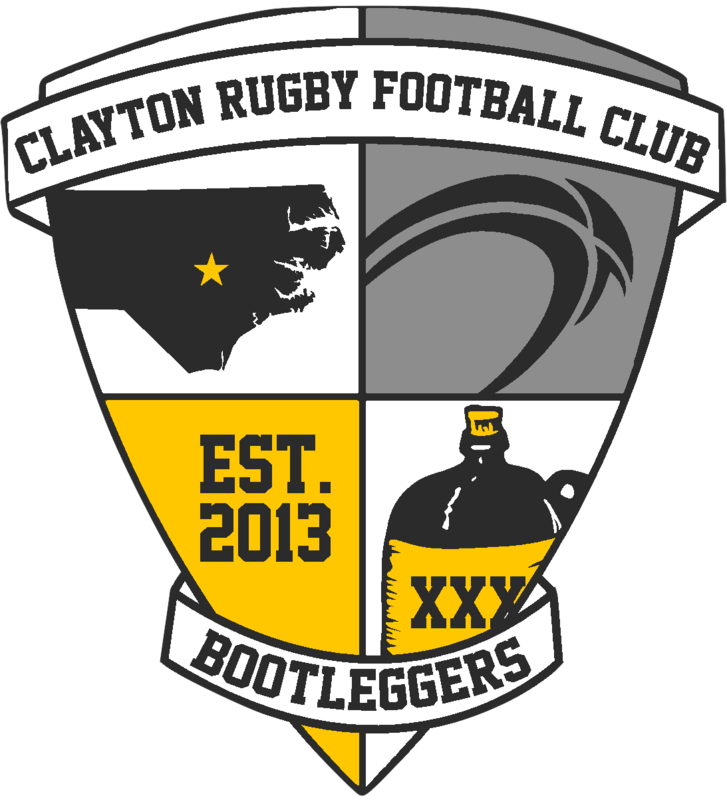 CLAYTON, NC – Rugby has grown exponentially in Johnston County since the sport was introduced to the area in 2012. With hundreds of players from ages 6-50 playing rugby in Clayton and Johnston County, the evidence is tangible, but it is work that is never complete. In an effort to continue to spread the game of rugby to new players, the Clayton Rugby Football Club is hosting an open and FREE Intro to Rugby Clinic/Tryout Camp for potential Men’s players in the area. The camp is open to Men, age 18 & over, that are interested in learning more about the sport of rugby. It is also open to new Bootleggers and current players that are looking to brush up on their core skills prior to the start of Winter practice in January. Coaches will run players through a session with a heavy focus on introducing the sport in a controlled environment, laying the foundation on core rugby skills such as catching, passing, evasive running, and showing the basics of the rugby-style tackle as well as the breakdown. 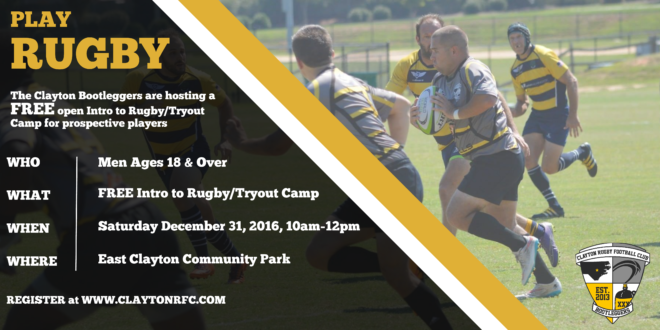 This inaugural Intro to Rugby Camp runs from 10am-12pm on Saturday December 31st at East Clayton Community Park. The camp is sponsored by the Clayton RFC and FREE to all that attend.